Over time clothes wear out, some wear out in particular places quicker than others. 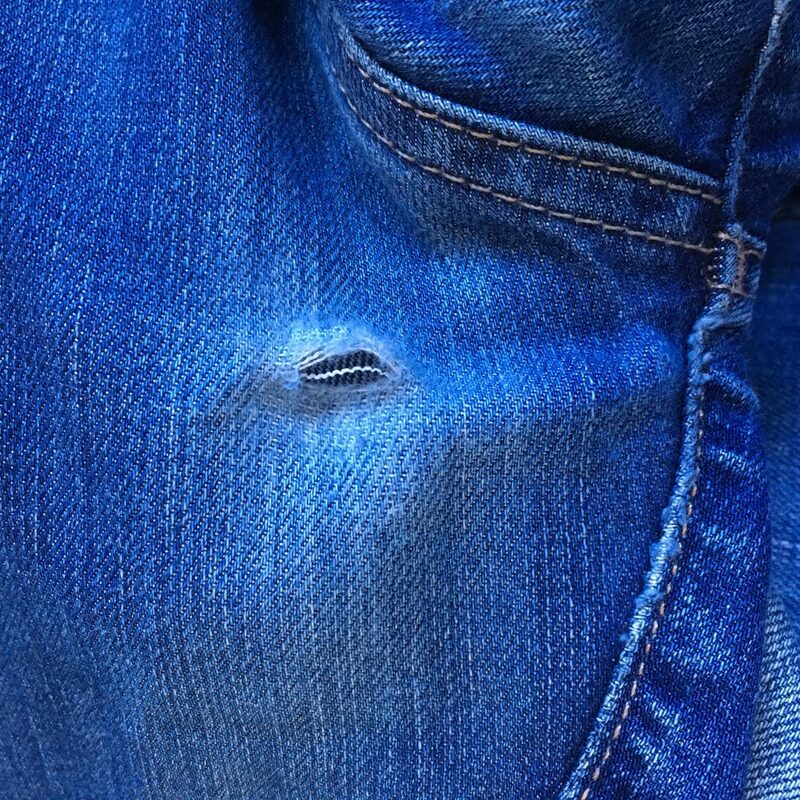 This pair of favourite jeans had a hole in the crotch area so I put the repair of it on my list. I used some denim from my scrap denim bundle and used embroidery thread to stitch and reinforce. I then discovered that the other side was pretty thin too so I did the same there this time using Aurifil 28 weight (4669) Stonewash Blue which blends well with the denim. 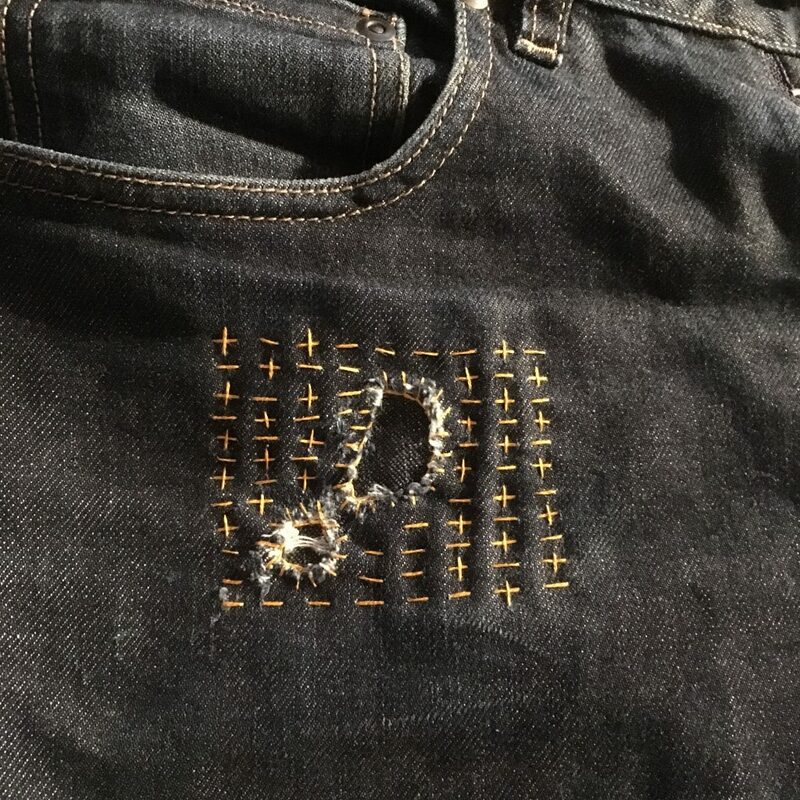 I felt like I was on a bit of a roll so I decided to tackle Tobit’s Community Clothing jeans which had been damaged in a cycling accident last year. 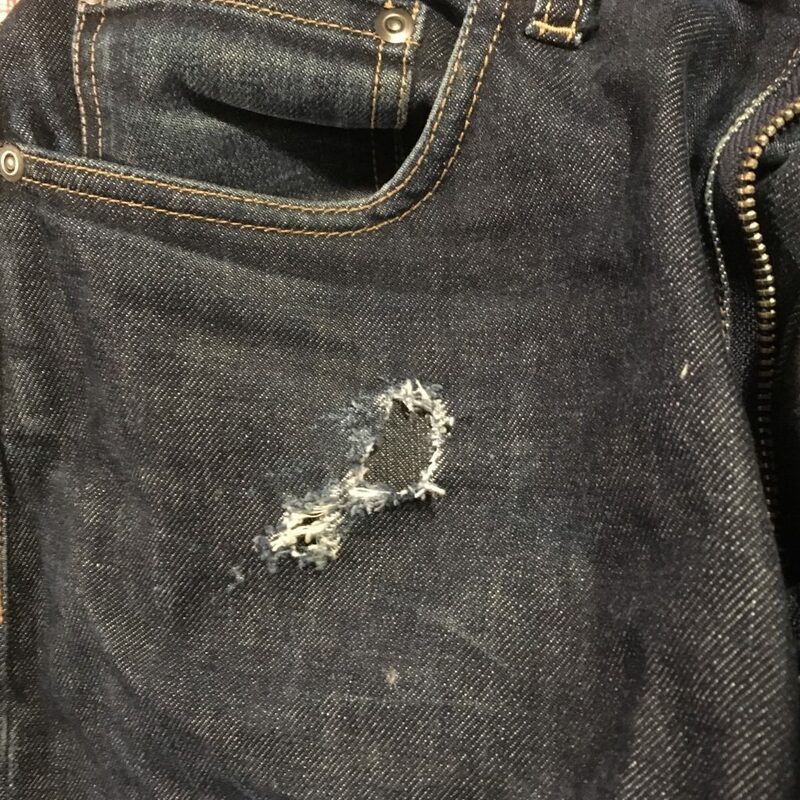 I found some denim that was a good match to go behind and trim the damage. I pulled out my Gutermann topstitch thread that I use for denim; it’s that gorgeous gold often used on jeans. 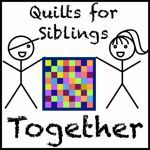 I sewed a blanket stitch around the hole and then embroidered the rest randomly. 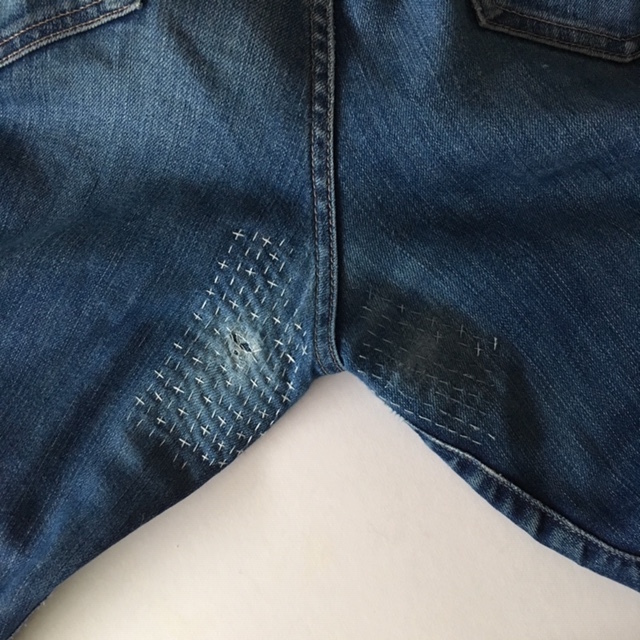 I really enjoyed these repairs and have had other pairs of jeans that have had the same treatment. Great repairs, though “repairs” seems not to cover the lovely creative stitching!